Sussex Women have announced that Georgia Adams will be the new captain across both formats for the 2017 season, and have now also confirmed their squad for the Royal London One-Day Cup and NatWest County T20. Adams takes over from Georgia Elwiss, who will be missing for most of the season due to international commitments with it being a World Cup year. 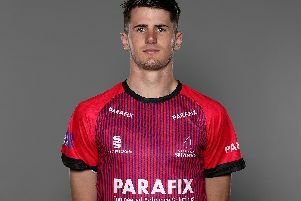 Adams has captained the side several times for Sussex in the past few seasons when Elwiss and Sarah Taylor have been on international duty. She scored her maiden century for Sussex against Yorkshire when she made her bow as skipper. Her experience at the top level will bring her a lot of knowledge as captain and Adams has also worked with a lot of the younger players in the side over the years as a coach for Sussex as well, getting to know a lot of the players’ capabilities. The new squad have been training all winter and there are a number of new, young faces in the side for the 2017 season, which include 18-year-old, Lucy Western and Nancy Harman who have both been training with the Sussex Academy, alongside Bethany Tagg and Ellen Burt. 17 year-old Ella Bourne and 16 year-old Ariana Dowse and Ella Wadey, who are on the Emerging Players Programme, and 14 year-old Ella McCaughan, have all been called into the squad. Sussex Women’s Head Coach, James Anyon said, “We have a lot of talent in our system and this is reflected in the number of players we have selected this season. Thanks to the sponsorship and support from Aldridge Foundation, who are our major sponsor for all our women and girls’ squads and our EPP and academy programme, we have managed to work a lot more with players on an individual level, which shows with the number of academy and EPP players coming into the womens’ side this year.